More than a century ago, Washington adopted an initiative and referendum process meant to empower citizens to make law when they were dissatisfied with the Legislature. This year, four enormous sugar-water companies – the makers of Coke, Pepsi, Dr Pepper and Red Bull – have spent almost $5 million to prohibitively outlaw any future local taxes within the state that would apply to their products. Washington Food Industry Association chipped in $20,000. No one else has contributed a dime. A lot of those millions have been paid to signature gatherers. The pop makers are running TV commercials narrated by folksy grocers in aprons, standing in produce aisles, talking about poor people’s food bills – and showing grocery carts full of wholesome, nourishing foods, and no soda pop. Initiative 1634 may be the least citizen-oriented measure we’ll ever see in this state; whatever you think of the proposal itself, the process and the funding and the level of distortion in the advertising combine to make it a grotesque pantomime of a citizens’ initiative. It proposes a state prohibition on all food taxes by local governments and suggests that it is protecting the “everyday groceries” of the state’s working people. But I-1634 is transparently laser-focused on preventing taxes on the products the people funding I-1634 make and sell. It’s a perversion of the process meant to protect the ability of regular citizens to overrule their lawmakers. 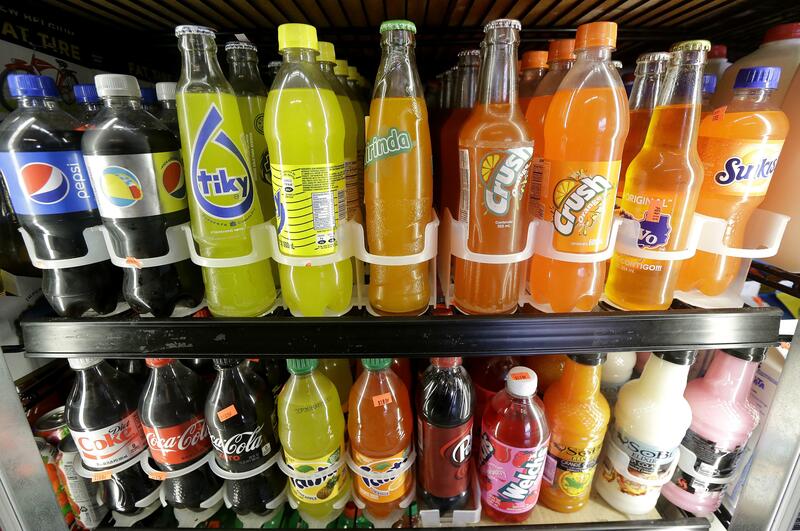 The idea that municipalities might follow Seattle’s lead and put a tax on soda pop is one thing. No one’s done it, but it’s been bandied about a little in whispers and suggestions – by those interested in the possibility and by those freaked out by the possibility. No city or county in the state besides Seattle has proposed one. As for broader taxes on groceries – the bogeyman the I-1634 are pretending is hiding in the closet – there has been no such proposal. The “Yes! To Affordable Groceries” campaign is telling tall tales when it suggests that cities and counties are on the verge of taxing food. I think even people who support a soda tax would see broader food taxes as regressive and undesirable. So, naturally, the group is pitching its initiative as a protection against taxing the chickens and eggs of the poor – not their Red Bull. It’s a shell game of political messaging. It’s unsurprising that beverage companies oppose taxes on beverages. But the measure, its funding and its “messaging” is co-opting the spirit and intent of the initiative process itself: It’s a big-money move to protect big money, peddled with an attempt to mislead people. If we take Mandell at his word, we should be simply thrilled at the passion that Coke and Pepsi and Red Bull are demonstrating for the poor people of Washington. After all, the companies that make these products have invested $4.7 million into protecting the well-being of poor people in Washington from rapacious city councils and county commissioners. If we take Mandell at his word, we might wonder why nobody else out there – not one individual or business contributor – is looking out for the poor in the same way that these massive soda-pop sellers are. There are five donors to the I-1634 campaign. The Coca-Cola Co., of Atlanta, Georgia, has contributed $2.3 million. Pepsico Inc., of Purchase, New York, has contributed $1.7 million. The Dr Pepper Snapple Group of Plano, Texas, has spent $709,000. Red Bull North America of Santa Monica, California, has contributed more than $55,000. And the Washington Food Industry Association, based in Olympia, has put up $20,000. No one else has contributed a dime, according to filings with the Public Disclosure Commission. The “Yes! On Affordable Grocery Ads” are masterpieces of misdirection. One ad shows a Spokane woman with her kids, shopping for bananas and eggs, walking down the produce aisle. “Once they reach into our grocery basket, where does it end?” she asks, ominously. Her grocery basket in the ad, so far as I could see, contains no soda pop. Another ad is narrated by a grocer in an apron, standing among leafy greens and colorful fruits, talking as the images of people buying milk, apple juice, green onions and meat roll by. A mother holding an infant plucks an apple from a display. You’d think the state was at risk of a new apple tax aimed at mothers with babies. Good thing Coke and Pepsi are here to look out for us.